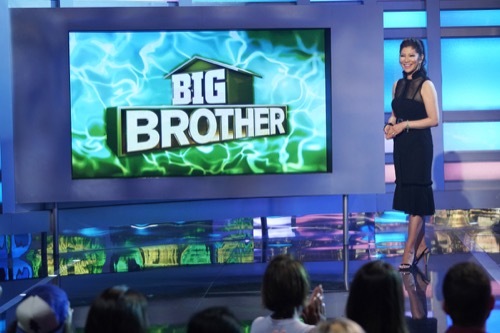 Tonight’s Celebrity Big Brother episode begins now – Refresh Page often to get the most current updates! Samantha is not happy being a robot, unfortunately she has the punishment right up to the first elimination. Meanwhile, Swaggy C overhears Angela and her group talking about him, they said he was idiot and made a bad move in his game. Kaitlyn thinks she is going to win HoH and she now understands why Swaggy C did what he did. Kaitlyn organizes a meditation session in one of the rooms with other houseguests; Rockstar loves it. Robot is offline, this means that Sam can return to the house for a time and put the robot in the diary room. Haleigh loved her meditation time with Swaggy C and is starting to warm to him. Kaitlyn loves her five alliance but she is worried because she is not safe this week. Time for the first HoH competition. The eight people who were not safe last night get to play in the HoH competition, she safe ones don’t get to play. The competition is called Micro Chip Mayhem. At the sound of the fog horn, they need to race across a balance beam, grab a deletion dot (which is really a ball) and bring it back to the platform. Once there, place the deletion dot in another player’s tube. When a player has ten deletion dots in their tube, they are eliminated from the competition. If they fall off the beam, they need to start back at the platform again. Sam is the first one to be deleted, Steve is second. Tyler is the winner, he is the first HoH of the summer. Bayleigh is very upset that she came in second and lost; Tyler knows she is upset and has her on his radar. Out of the group of eight, the ones who didn’t win are scrambling to form alliances and try to save themselves from being nominated by Tyler. Sam is back to being a robot and pleading with Tyler to not nominate her, he reassures her that she is not the target. Time for the nomination ceremony and Tyler has the responsibility to nominate two people. The first houseguest that he nominates is Sam, the second houseguest is Steve and Tyler says there is no rhyme or reason for nominated other than they were the first two that were eliminated from the competition. Steve is upset and says there is blood in the water. Meanwhile, Sam is upset because she thought Tyler really liked her and takes it personally that he nominated her. Swaggy C thinks that Tyler made a weak move and hopes that one of the weak choices gets taken off the block and a real target gets put up.